I’ve been asked a lot by my friends, what should I be investing my money in? I want to have enough for retirement, but I’m just not sure where to start. So today I want to give you 6 practical ideas that you can invest your expendable money (income) in so you can make your money work for you and have money when retirement rolls around. The first idea is stocks. It is really easy to set up a brokerage account, in fact I did a whole blog post about here. 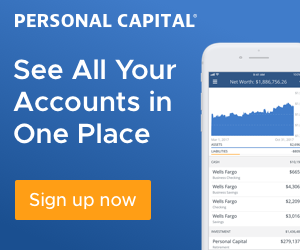 I like using Capital One Investing, they have a low trade rate ($6.95 per order) and I have my checking and savings with Capital One as well, so it’s easy to transfer money right over. The likelihood of stocks going up over a long period of time is high. Which is why so many of our 401k and IRA assets are in the stock market. They are meant to increase over time so we can cash them out at a higher value when we are ready to retire. That’s not to say stocks can’t increase in value very quickly as well. I’ve made some pretty good money by just watching my favorite stocks over time and when they dip down, I buy a chunk and a short time later, I cash out. This doesn’t always work and is high risk, but it can be done. You can also purchase dividend yielding stocks, which means they pay out dividends to you. Depending on how many stocks you buy, it’s possible to get a few hundred dollars per year. As far as picking stocks, I have a couple other blog posts that are book reviews from the experts about this (here and here), but what I recommend is going with stocks you know. Stocks like Amazon, Google, Facebook. Think about places you spend your money (like Costco) or products (brands of shoes) you purchase. These can be a good starting point. It’s hard to know what stocks will continue to increase in price, but think about what goods or services will stick around for awhile and the stock price usually increases over time for these items. Of course things can always change, but this is a good starting point. Stocks are easy to start investing in and can be less risky over the long-term. The second option to invest your money in, is an IRA or Roth IRA. You can invest up to $5,500 per year in an IRA or Roth IRA if you’re under 50. That’s a significant amount of money you can be investing. I have my Roth IRA (which I’d recommend over an IRA if you’re in your 40’s or younger) set up at Vanguard. Vanguard is a great option because they don’t charge you fees on their Vanguard options, which are still great options (so great that I’d invest in them even if I didn’t have a Vanguard account). They also have a great website that gives you advice on what you should invest in based on your age and risk tolerance. You can even just choose a Target Date Retirement Fund if you want to set it and forget it. Or, of course you can also set it up how you want to. A Roth IRA is a great way to supplement your 401k, which is the next idea for investing. If your employer provides a 401k or Roth 401k, that’s another great way to invest your money. Especially if they offer a match. 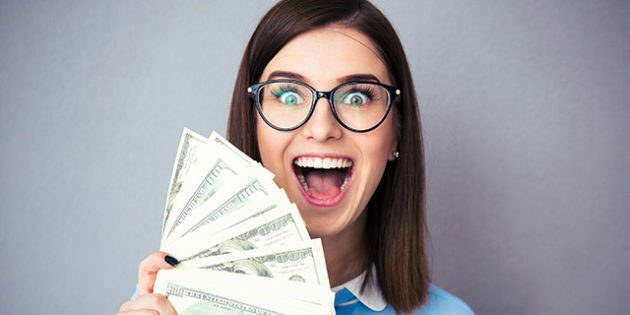 A match is essentially free money and you should be taking advantage of the match, if not even adding more to your 401k. Most 401ks also have a Target Date Retirement Fund that you can invest in. It makes it easy because you put all of your money in there and it automatically switches your funds over to less risky options as you get closer to retirement. I have a pretty high tolerance for risk, so I prefer to choose my own funds, but you don’t have to. Doing something is better than doing nothing, especially if your employer is giving you free money. Another great option for investing is real estate. I know this isn’t for everyone, but I love it, so I had to mention it. You can find decent properties that you could make a good return on. Just make sure you know your return on investment. How much cash you’ll be putting in verses how long it will take to gain that back. One of my properties is about a 30% cash on cash return. I don’t know where else you can find 30% return on your investment consistently year after year, the stock market sure isn’t that reliable. Don’t get me wrong, there’s things to take into consideration, like if I’m not able to rent it out for a couple months or if I need to fix things on the home, but overall it will average 30% or more cash on cash return because I’ll be able to increase my rent over the years. You could even higher a property manager to help make it easier for you. They would handle renting it out, collecting rent, fixing problems, etc, which could be nice for those worried about all of that. I currently handle all of my properties myself and just have a good handyman in case something needs to be fixed. My homes have been, by far, my best investments. I actually have not done this yet, but was looking into it. If you don’t feel like you can invest in real estate, this could be a good option for you. There’s two companies that are very popular, The Lending Club and Upstart. The companies essentially work with investors (that would be you) and people that take loans out. The investors provide the money for loans people want to take out. The companies have a certain percentage you (the investor) can make back based on the riskiness of the loans. You can invest your money into multiple loans to help reduce the risk of losing your money in case a loan goes bankrupt. They have different percentages you make back based on the different types of loans you invest in. Like I mentioned, I haven’t actually done this, but it does sound like a good option for investing. I’m a big proponent of education. I feel like there is always more to be learning and sharing what you learn with others. You can always invest in some online courses or community-ed classes for things that you’re interested in and it could help make you money along the way. For example, if you’re interested in quilting, take a quilting class and start selling your quilts. Or, maybe you want to be better at snowboarding. Take a class and share what you’ve learned through video courses online. There’s lots of ways to make extra income nowadays, so figure out what you like doing, become at least one step ahead of someone else and share your knowledge with them. These are just a few of the ways you could invest your expendable income. Got any other ways? I’d love to hear in the comments below!